In poker you need to adjust your game play at every stage. According to the situation you can both be aggressive or defensive and play either a tight game or a loose one. The reason to do this is to keep your opponent guessing at all times. The good thing about doing is that your opponent would never know what mode you are in and keep helping you to make money off him. If you are up against weak players who are anyways not paying attention to how you are playing then it is just as well to do nothing and let them do what they are doing. Every type of opponent would react to your actions in their own unique way whether or not they fully understand it. You need to know when to do what so that you can benefit from it. You need to know when to shift gears and for what reason. 1. 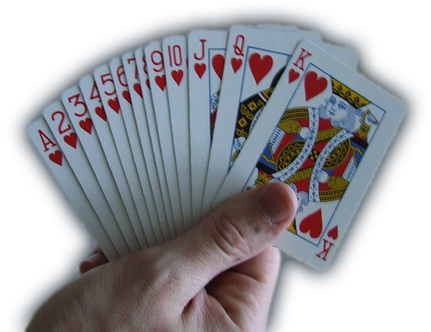 No professional poker player would play the entire game in the same gear. You cannot win substantial money if you play the entire game in the same mode but if you change your strategies for the wrong reasons you could loose a lot. If you are playing against an opponent who anyways doesn’t adjust his game according to how you play there is no sense in changing yours either. 2. There are only a few situations when you should do it. You can try this if you want to confuse your opponent, or if you want to strike at their chips or defend yours or if you want to sit back and let your opponent destruct themselves. 3. Changing your game play to confuse your opponent would only work in certain situations and only against some types of opponents. You should only shift your gears when you are playing against an opponent who would be able to take advantage of your staying in the same gear. Unless you really need to, do not change your gear. 4. Try to change to a conservative game play against of a tight game. You can also use a low gear when you haven’t been able to put up a dynamic and aggressive image. When you have been loosing a lot your opponents would get inspired by it and would play better and get more suspicious of you, it is better to then shift to a conservative game play. 5. If you are playing against a sensible and an aggressive opponent the best thing to do is to stay in the middle gears. You could do this by playing sometimes aggressive and sometimes in a defensive mode. You can also use this against those opponents who bluff too often. You could do this by calling often on their bets but not raising them. 6. A high gear should be used against those opponents who are a little intimidated by you. When you are just starting fresh and building up your image you can try this gear. Also, when you are pitched against weak players who call even on bad hands you can shift to a high gear until things change. 7. The best way to do play would be to build up an image, get into the medium high gear and maintain it. But if you are against an opponent who calls too often, raises rarely and doesn’t change his game plan according to your actions then this could only loose money for you. 8. Even if you are up against a seasoned opponent he would not be able to tell immediately when you shift gears. This is the ideal time to make most of it while you can before the opponent realizes what you have done. 9. Even those opponents who otherwise do not pay attention to your play would get confused by your actions. 10. Always take advantage of your aggressive mode while you are at it and never shift down.